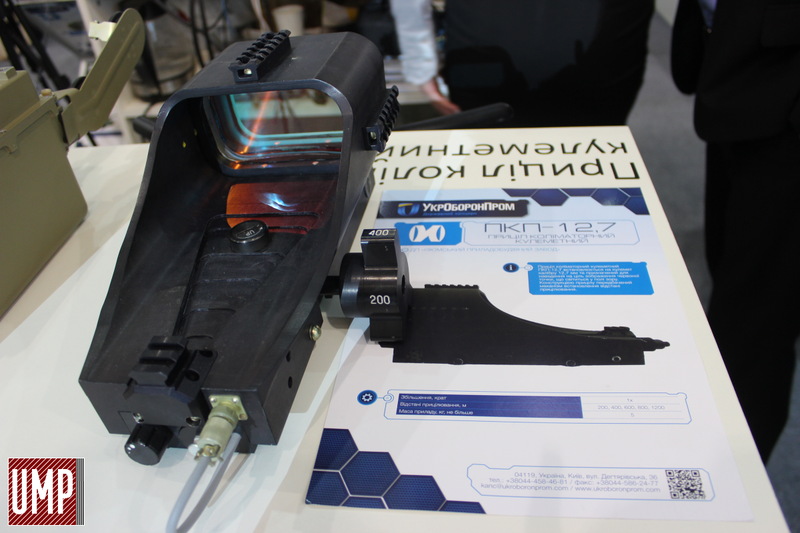 The Machine Gun Collimator PKP-12.7 - sight is nounted on machine gun with a 12.7 mm caliber and is intended to point tomthe target image of a red dot that shines in sight. 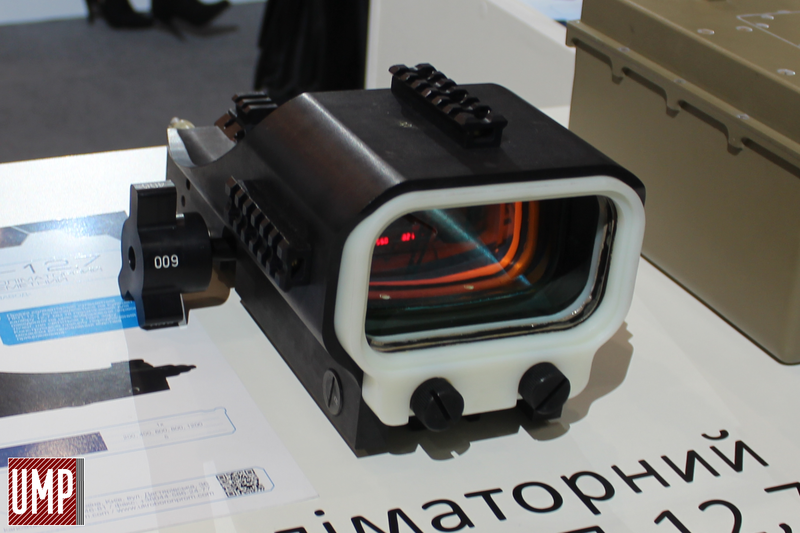 The design of the sight provides a mechanism for setting the aiminf distance. 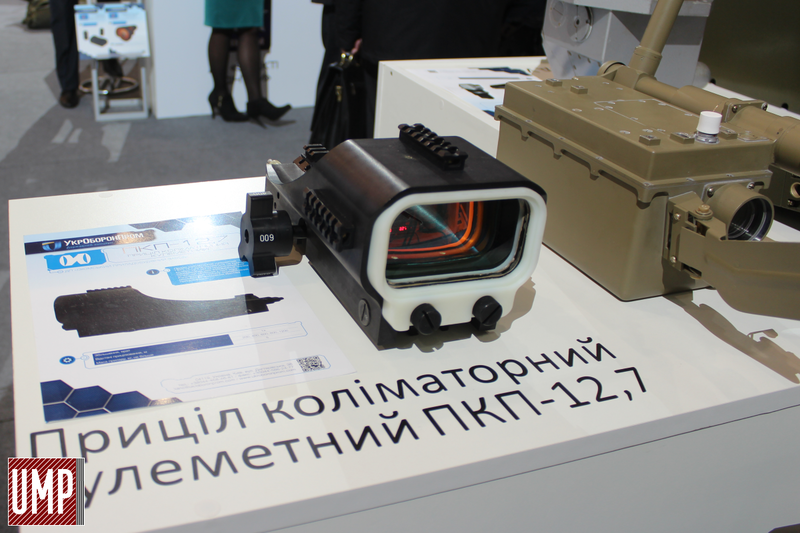 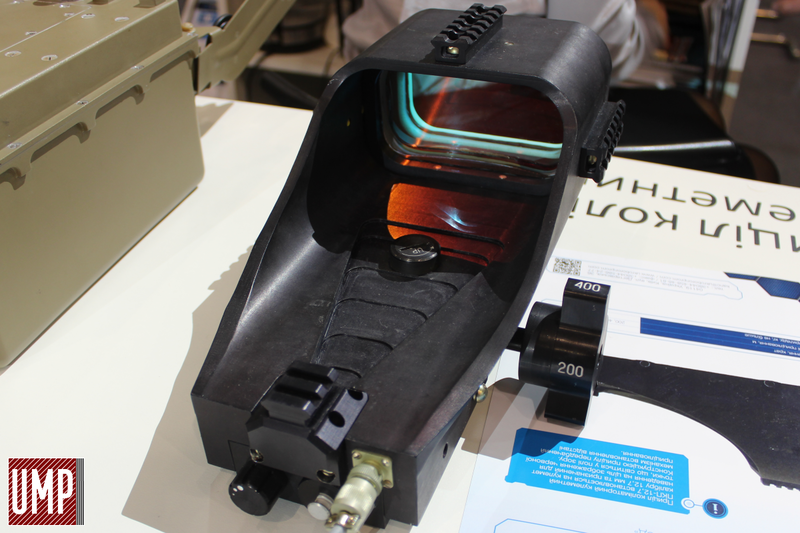 The Machine Gun Collimator PKP-12.7 was introduced at the XIV International specialized exhibition ‘Arms and Security – 2017’ in Kyiv.